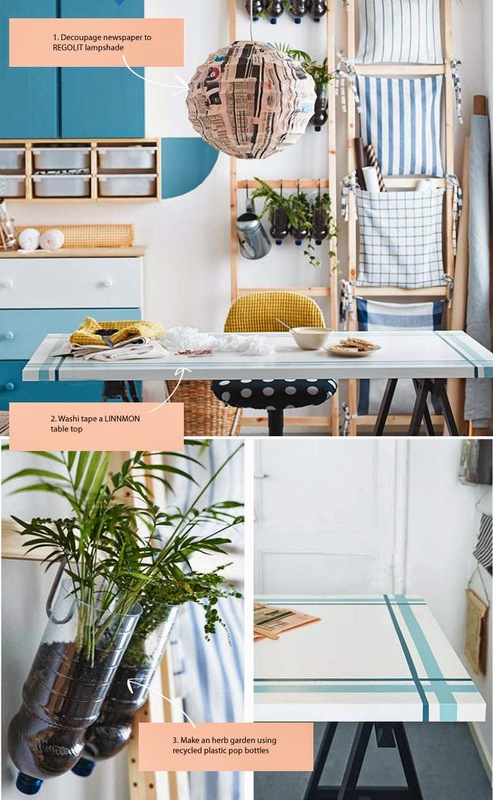 Checking out the new 2015 IKEA catalogue (US version) for cool DIY or decorating tricks from their stylists is always a fun hobby in these parts when it first comes out. It seems this year they are really offering up a heap of tricks (obvious or not). Here's a few that caught our eye! Not a new idea, but we like this idea for a craft room or workspace using newspaper gluing with Mod Podge to the REGOLIT lampshade. Tip: Find newspaper that has colours that you can tie in from in the room. Add some personality to a plain table by taping a favorite washi tape colour to it. Shown: LINNMON table. Make a budget-friendly (and cool-looking) herb garden using recycled plastic pop bottles. Another cute idea tying in with the lampshade, decoupaging newsprint to the back of a cupboard. Shown: IVAR Cabinet. This is a cool idea using tea towels. As they say in the catalogue: "Just fold in half, sew along the sides and voilà!" An idea for a studio apartment or dorm. 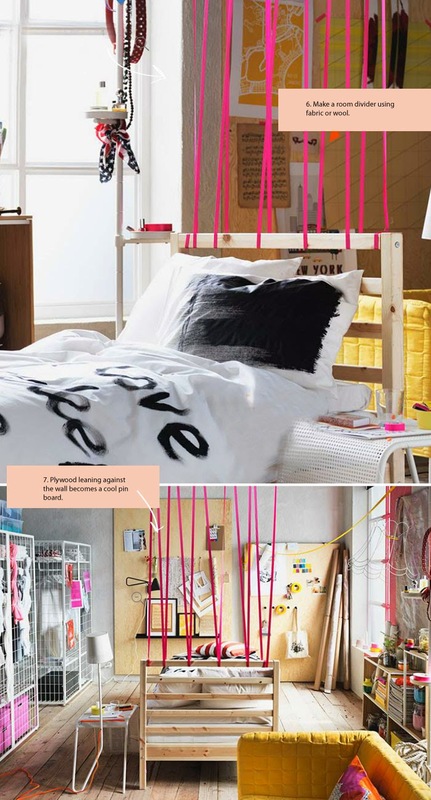 String fabric or yarn through a headboard to the ceiling to create an instant room divider. Shown: TARVA bed. Great for spaces where you can't attach things to the walls. 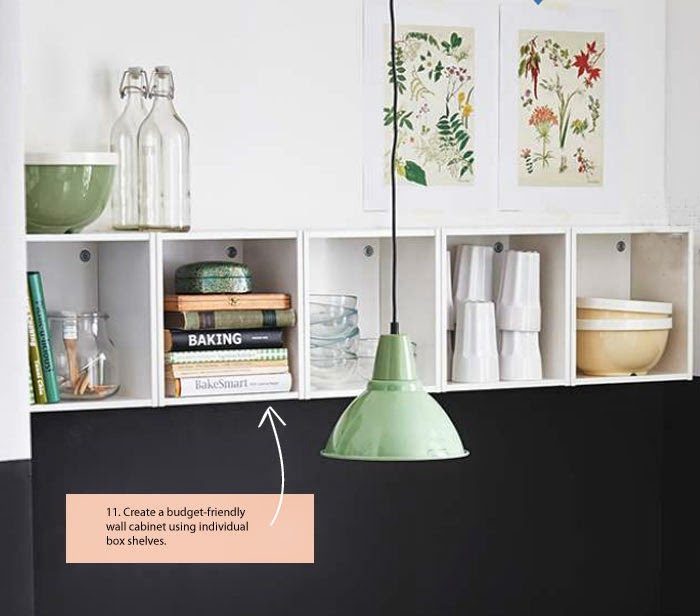 Lean plywood and hang shelves, knobs and use as a pin board. A piece of plywood is a perfect way to divide a room or make a faux wall. Nail it to a desk or dresser. 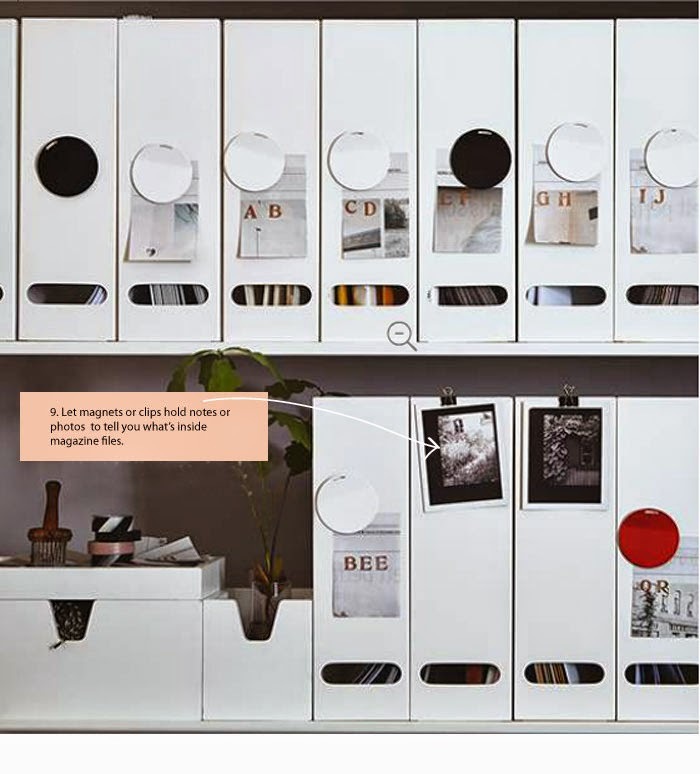 Taking queue from the polaroid on a shoe box to tell you which shoe is inside, use magnets or clips to hold notes or photo's to tell you what's inside your magazine files. A cool idea to hide clutter by using roll-down blinds. Add a little paint to give it a customized look. Shown: TUPPLER block out roller blind. 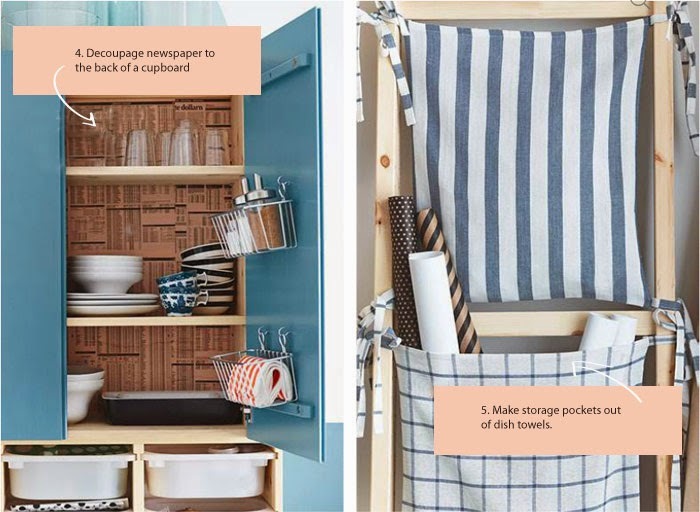 See more from the new 2015 IKEA catalogue by clicking here. Excellent ideas! I love the clips on the magazine files. So simple I can't believe I never thought of it myself. some seriously fantastic ideas here! Great ideas, but would like to encourage boycott of ikea until they settle an outstanding contract in Richmond, bc, Canada. IKEA has locked the workers out until they cave on major cuts to their contract. These employees have been locked out of their jobs for about 14 months now ... Please voice your support for the workers of a company who can well afford to pay people a decent wage! Thanks! Love this post, as always inspiring my creativity! such fun and creative ideas! love love! !